As the incidence of Alzheimer’s disease skyrockets, brain health is a concern of increasing importance. Dementia affects nearly 50 million people, and experts believe this number could increase by 40% in the next ten years alone. Mainstream medicine still insists that Alzheimer’s cannot be slowed or reversed, though new integrative treatment protocols are beginning to question this thinking with promising results. The Alzheimer’s research community has even budged a bit on the claim that Alzheimer’s cannot be prevented. There’s now general agreement that environment and lifestyle factors can influence the risk of cognitive decline, and that neurodegeneration is not an inevitability of old age. As a result, “brain hygiene” is garnering more attention from young and middle-aged people alike who want to protect the health of their minds. The trend has swept up those with perfectly healthy brains too, who want to supercharge their cognitive performance and unlock their brain’s “limitless” potential—thus, nootropics and cognitive enhancement practices are experiencing a surge in popularity. While many of these fancy brain supplements and biohacks have merit, protecting and optimizing cognitive performance also doesn’t have to be so complicated (it’s also important to realize that many of the claims made by nootropic manufacturers are overblown). One of the simplest ways to prevent cognitive decline and boost performance is to address nutrient deficiencies. As we’ve covered in past articles, nutrient deficiency is ever-present: our food is woefully nutrient-depleted (thanks to the depleted soil in which it is grown), and our body’s precious stores of vitamins and minerals are continually sapped by environmental toxins and stress. Of all the nutrients that are critical for a healthy brain, B vitamins are among the most important. As we covered in a previous article, B vitamins are the brain’s best friend. Here’s just a few of the types that researchers have found to have particularly powerful brain-boosting properties. Vitamin B3 This potent brain vitamin is also known as niacin or niacinamide. While the two names are often used interchangeably, niacinamide is actually the metabolite of niacin. Both forms have been shown to be effective at lowering the risk of incident Alzheimer’s disease and cognitive decline. Niacin tends to cause skin flushing because of capillary dilation (and is, therefore, excellent as a nootropic because of the vasodilation in the brain it helps catalyze). If skin flushing doesn’t agree with you, niacinamide works without this side effect, though can cause increased sweating. Both forms of this vitamin are very potent at high doses, so always consult your doctor before adding them to your regimen. Vitamin B6 has also been shown to be an invaluable tool for preventing cognitive decline. It helps the body synthesize the critical hormones serotonin, norepinephrine, and melatonin. When used in conjunction with vitamin B12, it helps lower homocysteine levels (one of the major risk factors for Alzheimer’s). One study showed that a daily regimen of folic acid, vitamin B12, and vitamin B6 reduced the brain shrinkage associated with cognitive decline by up to 90%. Vitamin B12 deficiency is one of the most dangerous and widespread of all nutrient deficiencies—some experts even believe that it plays a crucial role in our rising Alzheimer’s epidemic. Studies have shown a surprisingly linear correlation between vitamin B12 levels and cognitive decline. One impressive longitudinal study demonstrated that for every unit increase of vitamin B12 blood serum levels, the risk of developing Alzheimer’s disease was lowered by 2%. For this reason (and many others), it’s particularly important to have your B12 levels tested, and to supplement if necessary. Because vitamin B12 can be difficult for the body to absorb, always use a high-bioavailability form of methylcobalamin, like this fantastic liposomal vitamin B12. You get what you pay for, quality and formulation do matter, and multivitamins are almost never a wise choice. Toxicity can also be an issue because of the poor blending ratios of B complexes—often you need to take a near-toxic dose of one vitamin in order to get a sufficient dose of another. 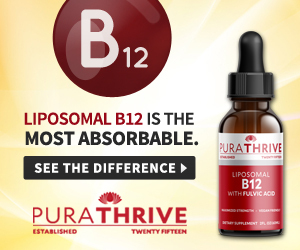 Here’s the bottom line: purchase each B vitamin on its own, and always seek out high-quality, high-bioavailability products like the liposomal B12 mentioned above. Many studies have demonstrated that liposomal delivery does make a difference, especially for individuals who have methylation issues that block the body from properly absorbing nutrients.